The AP English Language and Composition exam is a rigorous test of reading and writing ability, designed for students who want to take Honors English classes or major in English. In this post, we’ll look at the format and content of the exam as well as frequently asked questions. This test has two sections. One section is a set of multiple choice reading comprehension questions. The other section consists of three essay prompts. Below, we’ll look at these two sections in detail. 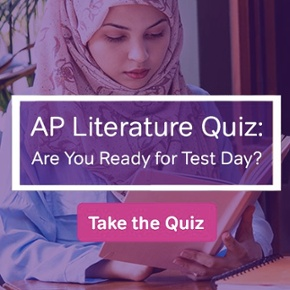 The Multiple Choice portion of the AP English Language and Composition Exam contains four readings, and 52 to 55 multiple choice questions based on the readings. 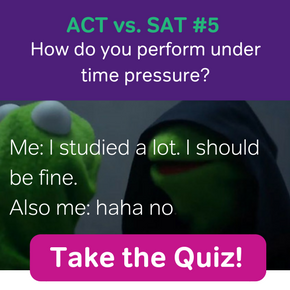 This section has a 1 hour time limit and represents 45% of a test-taker’s overall score. The reading material and question format are similar to that of the Reading section of the SAT. However, there are some important differences. Test takers are given five answer choices instead of the four they’d see in SAT Reading. And all passages in the AP English Language Multiple Choice section are non-fiction, while SAT Reading contains a mix of fiction and non-fiction. Additionally, the questions themselves are usually more complex than the reading comprehension questions on the SAT. You can expect to be asked questions about a writer’s rhetorical strategy, the stylistic features of a passage, and other advanced literary concepts. SAT-like questions about factual details, word-level vocabulary, and implied information are also present on the AP English Language test. But these less advanced questions aren’t as common as they’d be on the SAT. The AP exam really is dominated by questions that are more advanced. Examinees are given 2 hours and 15 minutes to complete this section. There are three essay questions, and the section as a whole makes up 55% of the total score for the exam. The first question is essentially an academic research essay on a public issue. The text of the essay prompt introduces the issue. From there, test takers must review full texts of 7 relevant informational sources, which are included in the test materials. Then they need to choose at least 3 sources that they’ll use in their writing. In the essay, students must take a position on the issue at hand and defend their position using their chosen sources. The second essay question in the Free Response section of the AP English Language test is very similar to the New SAT essay. Just like the optional essay from the redesigned SAT, this second AP English Language essay question presents a historically significant piece of argumentative writing. From there, both the SAT essay prompt and the second AP English Language Essay task ask students to analyze the quality of the written argument without inserting their own opinion on the topic of the reading. There is one significant difference between the SAT essay and this second question on the AP English Language exam. The AP English Language test provides much less direct guidance. Students are not given a list of writing aspects to reflect on, as they would be on the SAT essay. They’re simply instructed to “analyze the rhetorical strategies” in the passage. The third essay in the free response section offers the least amount of instructions and guidance. Here, students are simply given two famous philosophical quotations from two different authors. The quotations deal with the same issue, but they contradict each other. The test-taker’s job is to take a position on the issue and explain to what extent they agree or disagree with the positions given in the prompt. Who can take the AP English Language and Composition Exam? Anyone can take this test. You do not need to take an AP English class in order to sit for the AP English Language test. Nor do you need to apply for admission into an English program at a university. You can be in high school or middle school and register to take the test. In theory, even an elementary student could take this AP exam, but trust me–if you’re still in elementary school, there’s no reason to take this test. Who should take the AP English Language and Composition Exam? Where can I find prep materials for the AP English Language and Composition exam? The best AP Exam prep materials always come from the College Board, the company that makes both the AP exams and the SAT. For study guides and sample questions from the source, go to the College Board’s official AP English Language and Composition web page.